Cooperative Federalism or Unitary State? In January 2015, ahead of its first full-fledged budget, the present NDA Government at the Centre had announced the scrapping of the Planning Commission. 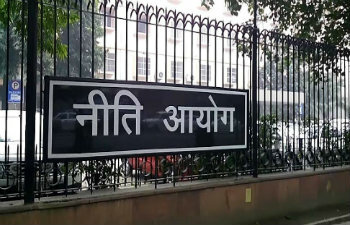 The announcement of a NITI Aayog to replace the Planning Commission was a regressive step which further pushed the country into a market driven economy and privatization in all spheres, at the expense of diluting even the inadequate schemes aimed at improving people’s welfare that existed then. Whatever role the Planning Commission had in allocating resources for the public sector and deploying public investment keeping in mind the regional disparities has now ended.